No ads for the first 5 days. 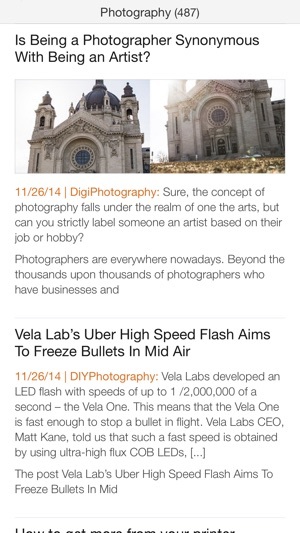 - List view & Magazine view. - Works smoothly when offline. 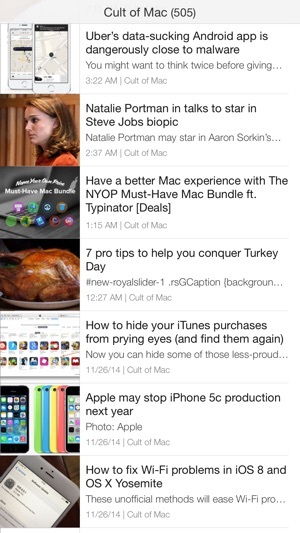 - Search in starred articles. - Themes: Day, Sunset, Night. - Auto readability view for partial feeds. - No prompt for rating. - Fast support within 12 hours. 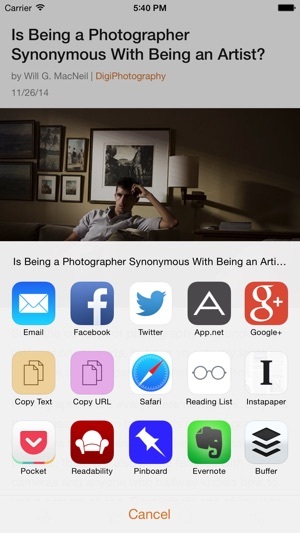 - Send articles/images via AirDrop. - Open articles in Safari, Chrome. 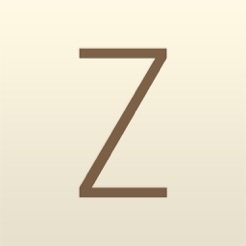 - Feedly account is required to use Ziner. - Article tagging is not supported yet. - You can turn ON/OFF Readability for entire feed by long press on Readability button. 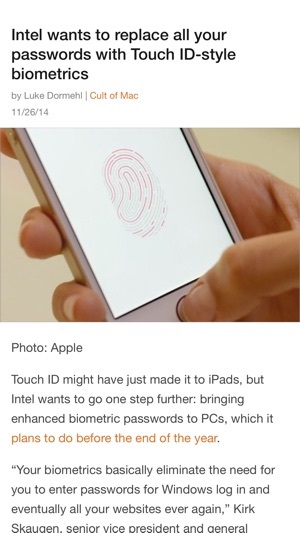 - When in magazine mode, you can exit article by double tapping on an article. We can not respond to App Store reviews, if you need to report any bugs/feature requests, please use Setting -> Contact Support. You will receive a reply within 12 hours. Add support for iPhone 6, iPhone 6 +. I have tried many RSS apps and this one is my favorite. I love the gesture based navigation and the minimalistic design. It does almost everything you need. The only thing I miss is the ability to use tags in Feedly (but I use this so rarely that it's not worth having a different app that does). It even shows mouse over text from popular sites like xkcd. It's well worth paying for the pro version, especially now that it supports iOS 8 and the iPhone 6's. Display is now iPhone 6+ optimized. Graphics are stunning, with automatic display options. The developer is actively working on enhancements and responsive via Twitter. I discovered that a double-tap on an article headline will return me to the article list Would be helpful to include this in the directions that appear on the interface when installed. This is a nice clean way to read my feedly feeds. No progress bar so it can make you think it's hung up syncing on slow connections. I wish it let you choose a folder to start in or start in last folder rather than all items. Also I miss the tap along the side interface of nextgen reader on windows phone. Less work on the finger joints than swiping each entry to mark as read.